Most investors regard Bitcoin as the greatest invention of the 21st century. Bitcoin has revolutionized the business world since it allows anyone to send or receive any amount of money anywhere in the world without restrictions. Bitcoin and the entire class of cryptocurrencies are set to become an integral part of financial systems around the globe in the next few years. The overall market capitalization of Blockchain technology and cryptocurrencies is expected to hit the $1 trillion mark before 2020. The current market capitalization of cryptocurrencies stands at $150 billion. Although many of the coins may not survive for long, the few that survive including Bitcoin will have colossal insignificance. Entrepreneurs are already aligning themselves on how they will capitalize on this to reap profits. However, most people still don’t know how to trade Bitcoin and other cryptocurrencies which has also slowed down its circulation. This article mainly focuses on how to trade Bitcoins as well as analyzing the inherent risks involved in trading cryptocurrencies and the legal framework surrounding the whole idea of trading cryptocurrencies. If you have been stuck for a long time trying to figure out how to buy your first Bitcoin, then you’re in the right place. Bitcoin operates by Blockchain technology, and luckily, you don’t need to understand the whole idea of Blockchain to use it. 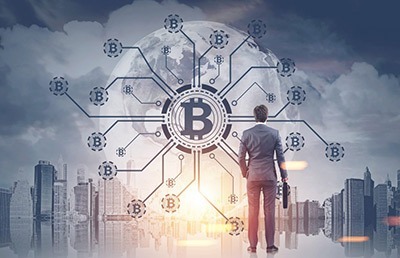 However, blockchain refers to a plethora of records referred to as blocks that are connected and secured using sophisticated cryptography. Blockchains act as the public ledger of different transactions since they are intrinsically resistant to any change of data. You’ll need a brokerage account to facilitate the buying and selling of the bitcoin. The good thing is that it only takes you a few minutes to set up a fully operational account and you can complete your first trade as soon as possible. The brokerage account acts as a digital wallet for your Bitcoin. The most common brokerage account is the Coinbase which facilitates the buying and selling of Ethereum, Litecoin, and Bitcoin and is available for both Android and iPhone users. The other reason why you need the digital wallet is to help you track the prices of the cryptocurrency. Coinbase is a top choice for most investors since meet all the legal requirements in the countries they operate and have two separate but integrated products; one for buying/selling and sending bitcoins to family and friends and another one for the more advanced trading. Once you open your brokerage account, you’ll be required to verify it by uploading a passport or a driver’s license which takes one to two minutes. To load your account with money, you’ll be required to select your preferred payment method on the dashboard of whatever account you’ve opened. You can choose between a credit/debit card and the bank account. Funds from a bank account take longer to reflect in your brokerage account compared to credit/debit card option. If your exchange option is Coinbase, you’ll be charged a 3.99% processing fee for all of your credit card transactions. Other Bitcoin exchanges have different rates. The next step after funding your account is making your first purchase. The good thing is that you don’t have to purchase the bitcoin in full units; you can buy a fraction of a bitcoin. This makes the coin an easy target for speculation. Most exchanges don’t charge a fee when transferring a bitcoin from one user to another. All market indicators point to the fact that the value of bitcoin and other cryptocurrencies is set to increase in value so your first target should be to collect as many coins as you can, position yourself in the right places and wait to make profits. Capitalize on the concept of buying low and selling high. You should avoid buying or selling in reactionary swoops or emotional trading since you may end up making less profit. Trading cryptocurrencies is similar to trading stocks in the stock market. The best way to tell if the stock price is under/overvalued is by studying the trends in the moving averages. Typically, the moving averages are plotted on daily stock charts to help caution traders against volatility and predict the direction in which the stocks are moving. The same thing applies to cryptocurrencies. Learn to study the charts and always pay great attention to spikes in trade volumes which usually imply that strong sentiments of excitement or fear have just entered the market and you need to start trading cautiously. Bitcoin is regarded to be highly volatile; more than any other type of asset. This can be attributed to the fact that cryptocurrency is still relatively young and is facing numerous challenges. Although the overall price is on the rise, any trade comes with its fair share of risks. Public sentiment has a significant impact on the Bitcoin prices, and it’s expected that the prices may fluctuate as financial institutions and companies continue to make decisions on how to incorporate cryptocurrencies into their workflow. The prices are also highly sensitive to regulatory changes. For example, the Chinese government banned all companies and individuals from raising funds through ICO and also banned all financial institutions from facilitating businesses that are related to ICO trading. The Chinese government has criticized ICO and termed it as an unauthorized means of raising funds. Such regulations have sometimes had a negative impact on the bitcoin prices which affects merchants in different ways. For example, the cost of bitcoin in June this year was $2,983 before losing 30% of its value in under a month to $1,992 before it again gained value and moved to $4,765. At the time of writing this article, Bitcoin is nearly at $20,000.